I never thought that Nawazuddin would become such a huge actor: Rajkumar Hirani. Mumbai: Rajkumar Hirani worked with Nawazuddin Siddiqui in his debut but the director says he never thought the actor would go on to become a huge star. In Hirani's comedy-drama "Munna Bhai MBBS", Nawazuddin, still in his struggling days, featured in a minor role of a thief who pickpockets Sunil Dutt's character on a railway station and faces the wrath of public on being caught. "People had to beat him up in that scene and they really did that! I told him 'Nawaz you've done an amazing work, you're a great actor!' 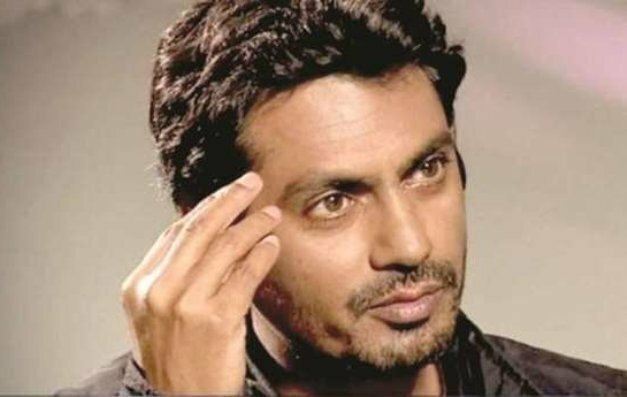 But in my head, I never thought that Nawazuddin Siddiqui would become such a huge actor that he is today," Hirani said. The director was speaking at IFTDA's masterclass on Wednesday. Hirani said a lot of his life experiences find their way into his movies, including the introductory scene of Sunil Dutt in "Munna Bhai..." which was inspired from one of the incidents happened with his father. "He was doing a film after 16 years. We were ready to shoot when Dutt sahab felt 'I don't have a great scene, just an introduction is there.' So he called up Vidhu (Vinod Chopra) and he in turn called me and said add a scene. "I told him I can't because it won't go in the flow but he insisted. I kept on thinking about it and then finally added the scene where a thief picks his pockets and people started beating him. Dutt sahab saves him and advises him to stay away from such people as they are frustrated.